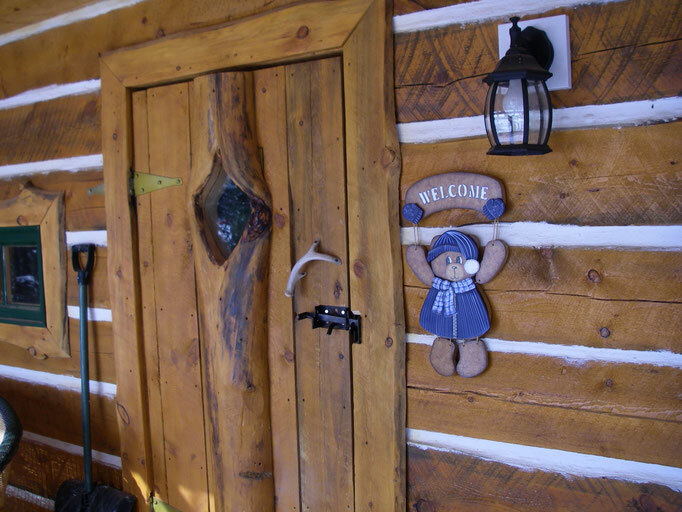 Consider an overnight stay in our Timber Cabin before or after your dog experience or a relaxing 2 night stay is even better as you take the stress out of winter driving. 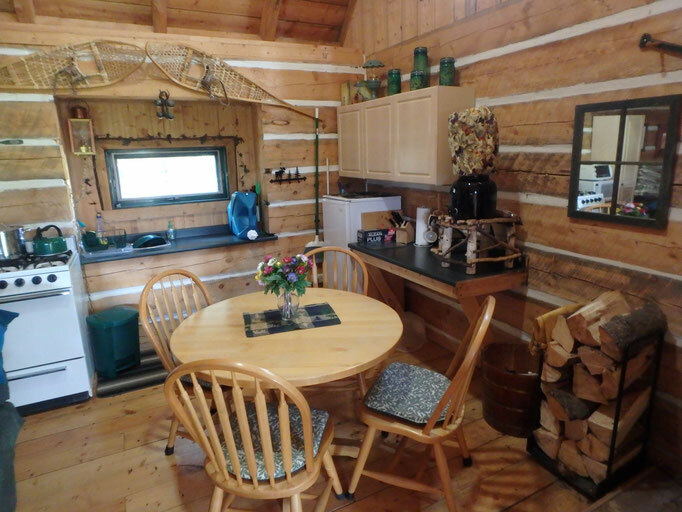 Enjoy a Canadian winter adventure and experience turn-of-the-century living (wood heated) with all the modern luxuries ... duvets, Lazyboys, CD-Player, propane stove / oven, water cooler and electric appliances. 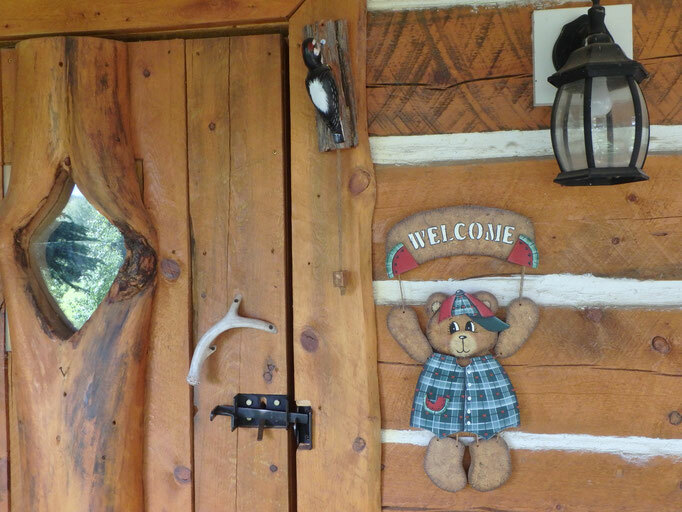 Our Timber Cabin is nestled in the woods with a view of the river from a large comfy porch. 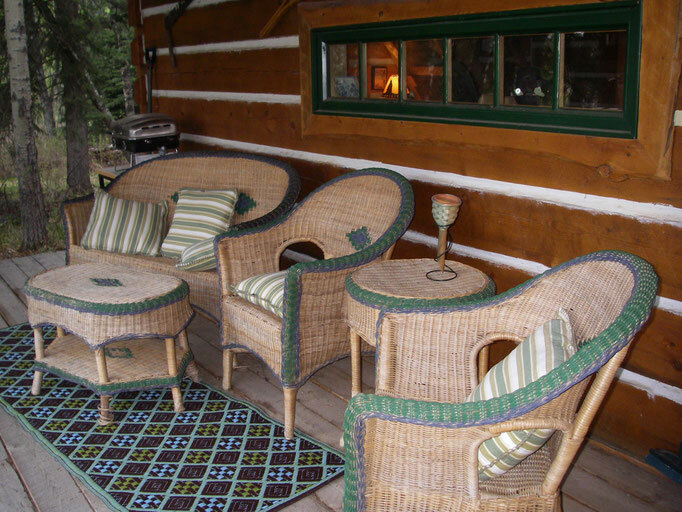 A rustic turn-of-the-century atmosphere in complete comfort with a wood stove, cozy duvets and all the amenities you need (other than plumbing). A short walk takes you to a 3 piece bathroom off the deck the main house. 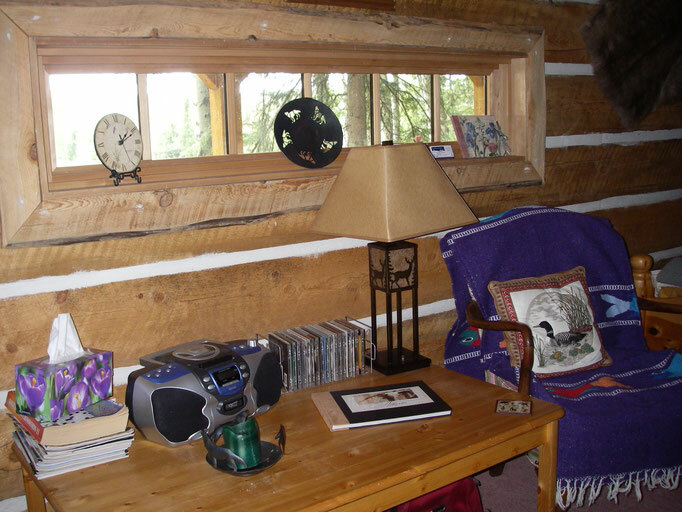 Closer to the cabin is the outhouse, complete with a heat lamp to keep the frost off the seat for your comfort in the winter. 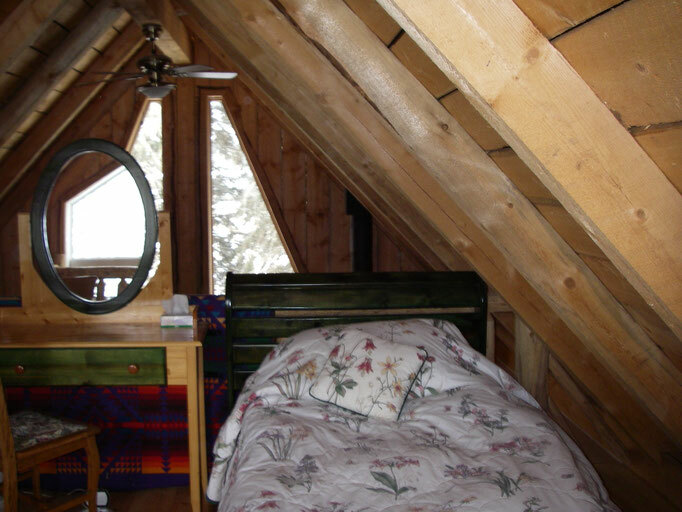 Sleeping 4 people, there is a Queen bed on the main floor and 2 twin beds in the upstairs loft area. 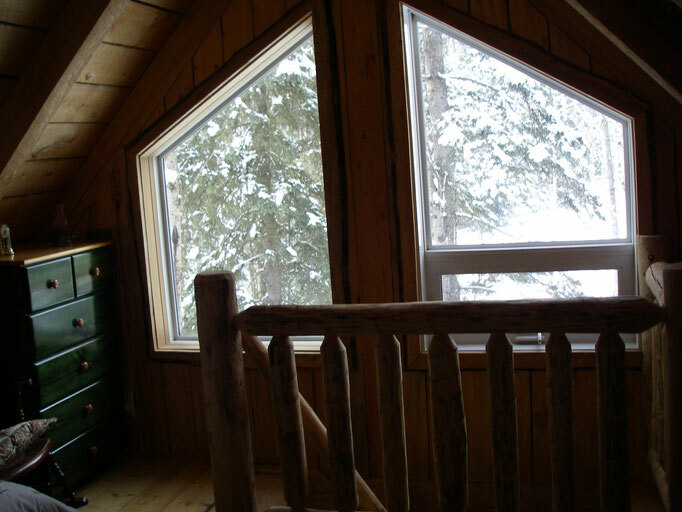 The loft is bright and cheery with large south facing windows. 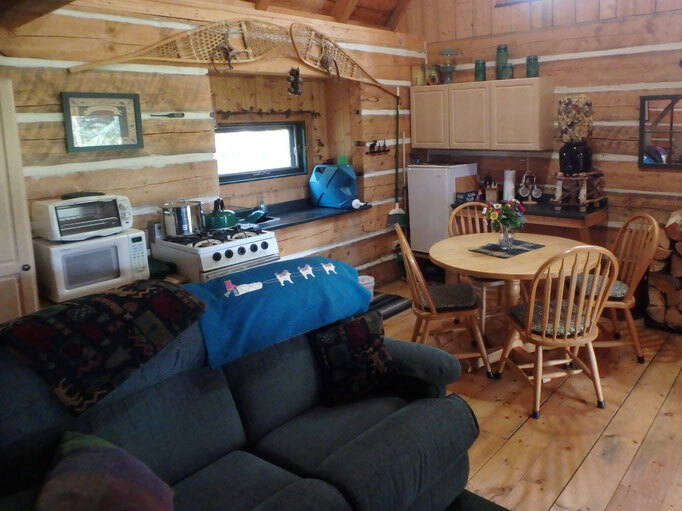 There is a full kitchen for your convenience. A full breakfast is served up at the main house. Full Day Dog Experience during your stay. There is also the option of no breakfast with a rate reduction. Add 5% GST to all prices. Prices are in Canadian funds. MasterCard, VISA, cheque, cash or e-transfer are accepted. 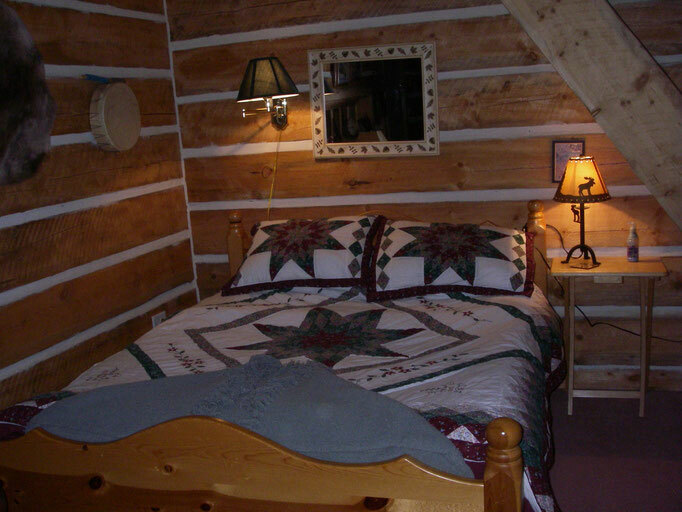 If you desire greater amenities with your accommodation, we are happy to suggest other B&B operators and Motels in the near or may we suggest a stay at The Prairie Creek Inn - just 15 minutes east of Rocky Mountain House. If you are staying at The Prairie Creek Inn, we are happy to be flexible with your Dog Experience start time to accommodate their full, not to be missed, breakfast. 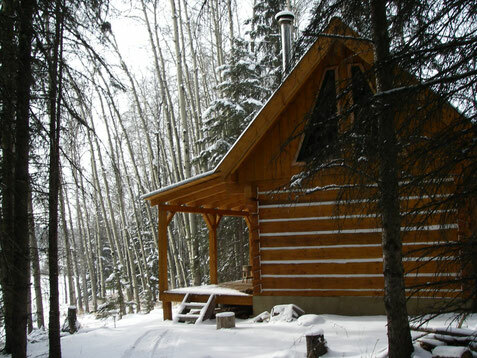 ...Rocky Mountain House area also has several restaurants for your convenience.